You need a productive way to advertise your company. Billboards, newspaper ads, and TV ads are expensive, and they don't always reach your target audience. That's why Eckert Signs, Inc has been making effective, top-quality signs for more than 39 years. 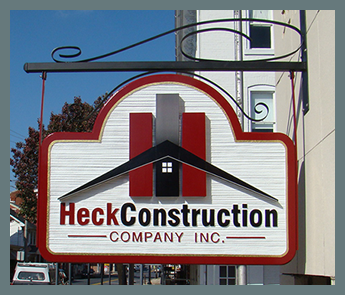 We proudly serve satisfied customers in Lancaster, Pennsylvania and beyond. There are so many different types of signs, fitting your needs and personal preferences. Whether you need a sign that is big, small, simple, or complex, we'll partner with you at every stage to make the perfect product. Although we serve as a sign maker and can handle nearly any type of advertisement, our specialty is sandblasted and carved redwood signs that feature 23 carat gold leaf lettering and accents. These signs are available in wood or highly durable polyurethane. Either material works well — we can help you decide what material best matches your needs.